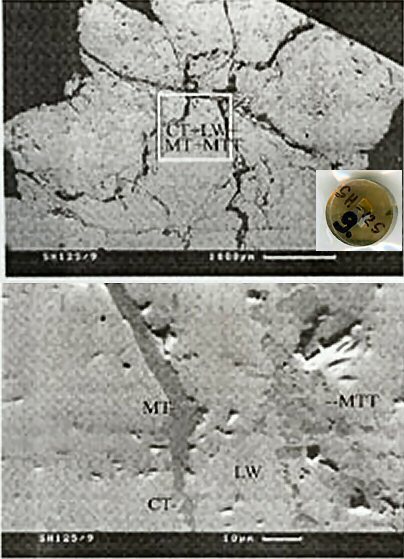 Comments: SEM image showing calciotantite (CT), manganotatntalite (MTT), microlite (MT) and lithiowodginite (LW) association. Location: Granitic pegmatites, Kalba, Kazakhstan. Scale: Scale bar 100 µm and 10 µm.